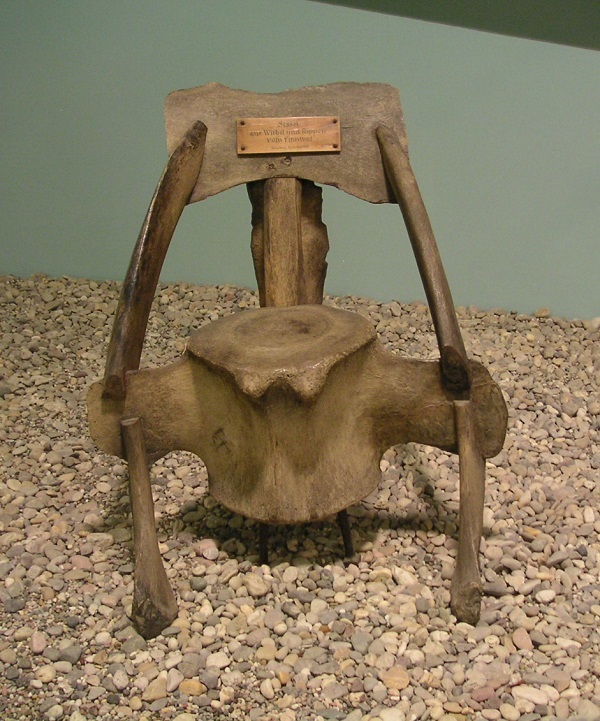 Today´s curiosity of the day are chairs made of whale bones. 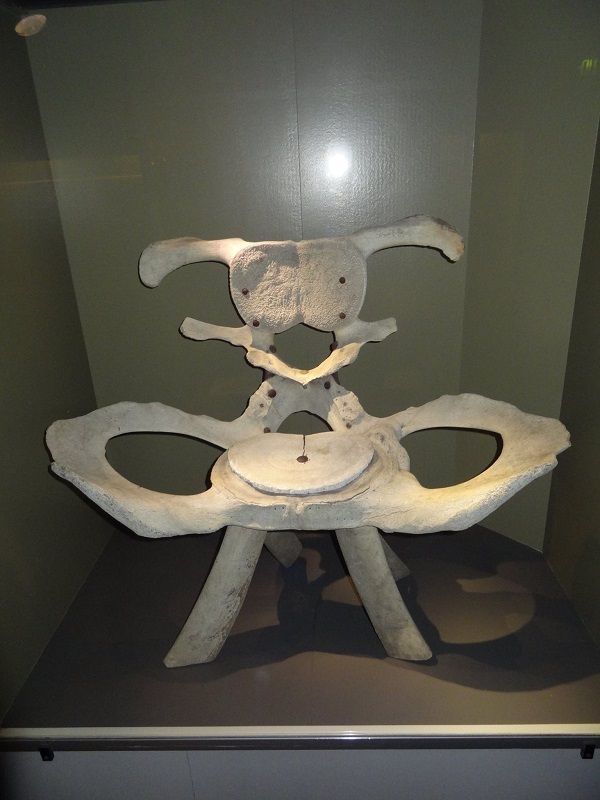 The first one is constructed of two large cervical vertebrae and apparantly pieces of ribs for the chair legs. It is exhibited in the Zoological Museum at Copenhagen, Denmark. I have no idea how comfortable this chair was to sit on, but I really like the nearly gigeresque Design which would surely fit very well into a Science Fiction movie, for example for a Predator spaceship. Here is another example of a different construction, made from the bones of a fin whale. It was exhibited at the Staatliches Museum für Naturkunde Karlsruhe (State Museum of Natural History Karlsruhe) but is now sadly no more on display. Dieser Beitrag wurde unter Anatomie, Curiosity of the Day, Wale veröffentlicht. Setze ein Lesezeichen auf den Permalink.